Geranium essential oil is a type of essential oil commonly used in aromatherapy. Sourced from the flowers and leaves of the Pelargonium graveolens plant, geranium essential oil is said to offer a variety of health benefits. Geranium essential oil contains a number of compounds thought to enhance health, including citronellol and geraniol. Inhaling the aroma of geranium essential oil (or absorbing geranium essential oil through the skin) is thought to transmit messages to a brain region involved in controlling emotions. This brain region, known as the limbic system, also influences the nervous system. Aromatherapy proponents suggest that essential oils may affect biological factors, including heart rate, stress levels, blood pressure, breathing, and immune function. While preliminary research suggests that geranium essential oil may offer certain health benefits, there is currently a lack of research testing the health effects of aromatherapeutic use of geranium essential oil. For example, a preliminary study published in the Iranian Journal of Microbiology in 2012 found that geranium essential oil may act as an antimicrobial (a substance that destroys or suppresses the growth of microorganisms, including bacteria and fungi). In addition, a preliminary study published in Lipids in Health and Disease in 2012 indicates that geranium essential oil may help protect against diabetes. 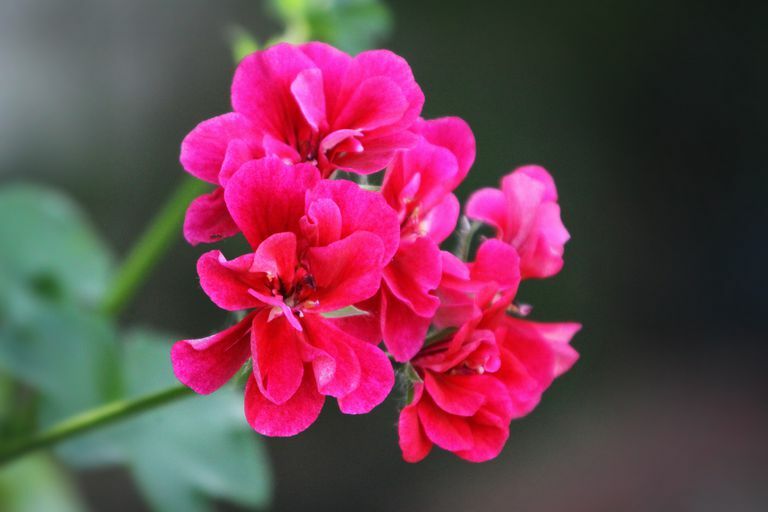 In tests on rats, the study's authors determined that animals treated with geranium essential oil experienced a significant decrease in blood sugar levels. The study's authors note that geranium essential oil appears to offer antioxidant effects when taken orally. However, it's important to note that geranium essential oil may have toxic effects when ingested. It's also important to note that neither of these studies tested the aromatherapeutic use of geranium essential oil and that more research is needed before geranium essential oil can be recommended in the treatment of any health condition. In addition, geranium essential oil is sometimes used as an insect repellant. Geranium essential oil should not be taken internally without the supervision of a health professional. Internal use of geranium essential oil may have toxic effects. In addition, some individuals may experience irritation or an allergic reaction when applying geranium essential oil to the skin. It should not be applied full strength to the skin. Essential oils are absorbed through the skin. Due to a lack of supporting research, it's too soon to recommend geranium oil for any health condition. If you're considering the use of geranium oil, talk to your doctor before starting your supplement regimen. Keep in mind that geranium oil should not be used as a substitute for standard care in the treatment of a chronic health condition. Several other types of essential oils have been found to offer health effects similar to purported benefits of geranium essential oil. For example, lavender essential oil may help reduce anxiety and promote healthy sleep. In addition, orange essential oil, lemon essential oil, and jasmine essential oil may help improve mood. Widely available for purchase online, geranium essential oil is sold in many natural-foods stores and in stores specializing in self-care products. Ghannadi A, Bagherinejad M, Abedi D, Jalali M, Absalan B, Sadeghi N. "Antibacterial activity and composition of essential oils from Pelargonium graveolens L'Her and Vitex agnus-castus L." Iran J Microbiol. 2012 Dec;4(4):171-6. Boukhris M, Bouaziz M, Feki I, Jemai H, El Feki A, Sayadi S. "Hypoglycemic and antioxidant effects of leaf essential oil of Pelargonium graveolens L'Hér. in alloxan induced diabetic rats." Lipids Health Dis. 2012 Jun 26;11:81.